…and much more! Check out the vRealize Automation 7.3 Release Notes for more information. Beyond those, I would like to focus more on vRA + NSX enhancements for this 7.3 release. 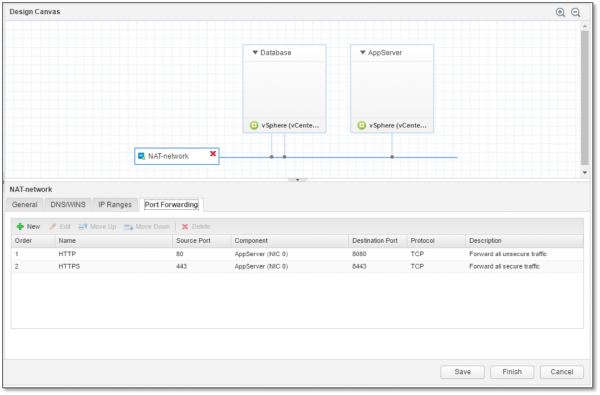 First and foremost, vRA 7.3 communicates now directly with the NSX REST API. Yup, no need for the NSX plug-in for vRO anymore. This brings a simplified compatibility matrix, but also streamlined deployment/configuration and an improved ease of troubleshooting. NB: this doesn’t mean that vRO will never be used anymore, it is still an area of investment for vRA/NSX extensibility. 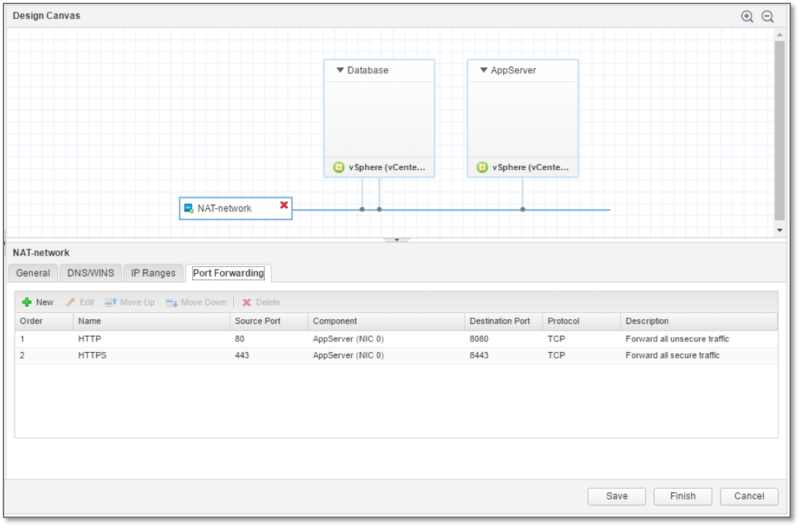 What’s new in vRA 7.3 regarding NSX integration? Link: vRealize Automation 7.3 Release Notes. Hi, vRA Blueprint can leverage on-demand LB to provide LBaaS. But this method introduces a challenge to us: a new LB is requested when each time this Blueprint is called. We have a few hundred of applications so we need to build a few hundred of LB. Building so many LBs are not acceptable from operation point of view. Could we utilise existing NSX LB in a Blueprint to provide LBaaS? 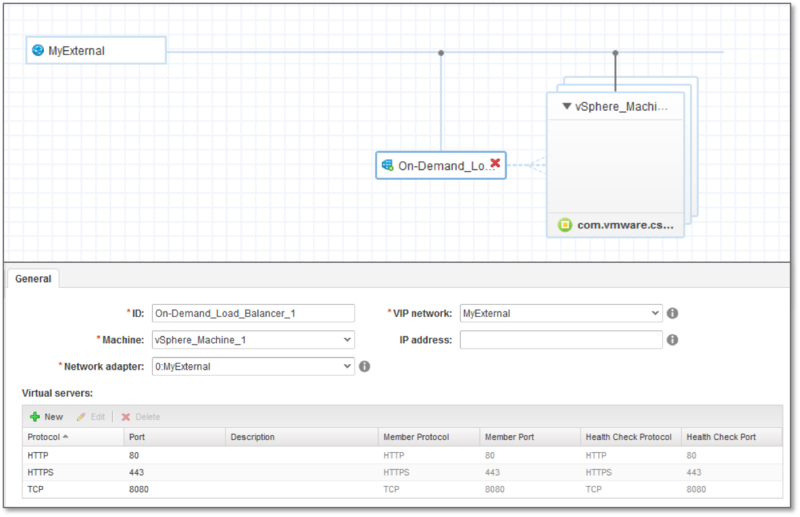 yes, with vRA 7.3 you have all the day-2 ops for the LB, and you can for example add and edit virtual servers of existing ESGs. Any example around Day2 ops for LB in BluePrint can be shared? Any example? Not sure what you would like to know, but once a request is done, you can edit a deployment and the items associated, including the load balancing. 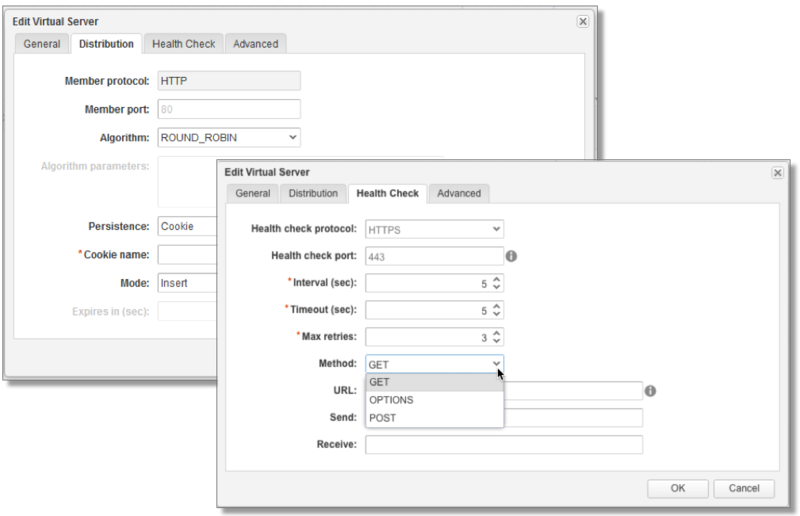 You can fully customize load balancing directly from vRA. Hi, I was using the NSX.Edge.HighAvailability = true. vRA managed to deploy 2 Edge VMs but it is showing “Could not enable HA as there are no internal interfaces” in the HA configuration of NSX. I found out that this out of the box feature will deploy 1 armed LB and we have to manually add an internal interface for the LB heartbeat. Is there a way to have it automatic configure the internal interface for the HA heartbeat? I do not see anywhere that I can configure that in the blueprint.